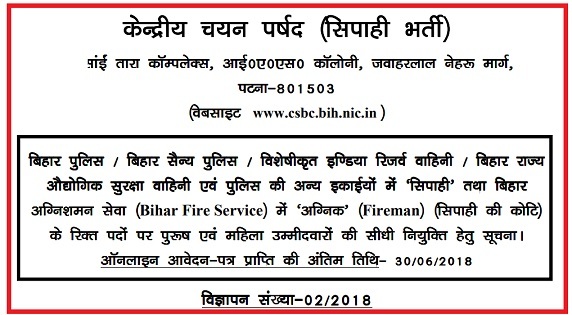 CSBC has released the notification 02/2018 for the post of Constable in Bihar Police Department for Bihar Police, Bihar Military Police, Bihar Fire Services etc. Online application form will starts from 28th May 2018. Educational Qualification: 12th/10+2 pass or equivalent from recognized board.